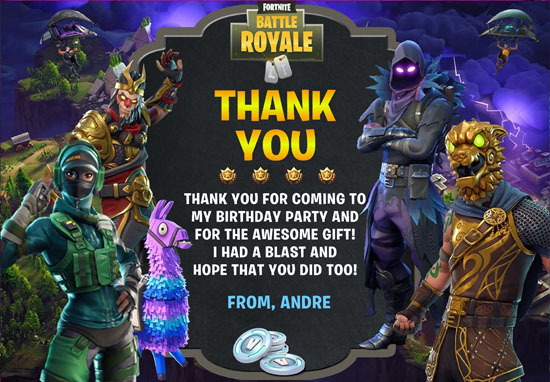 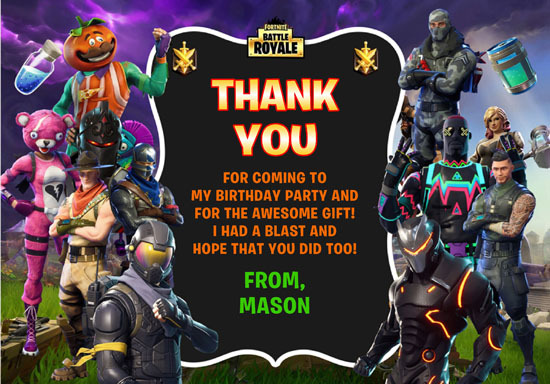 Fortnite birthday party invitations. 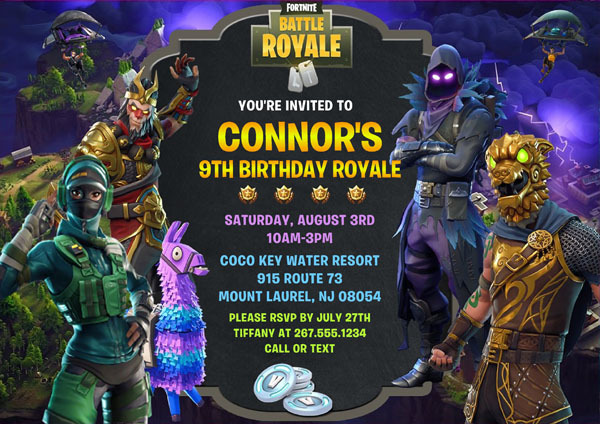 Ideal for a Fortnite themed party and can be used for kids of all ages. 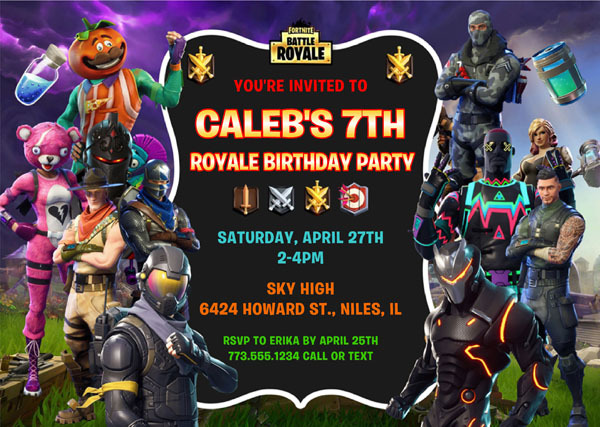 The finished party invitations are affordable and of outstanding quality!